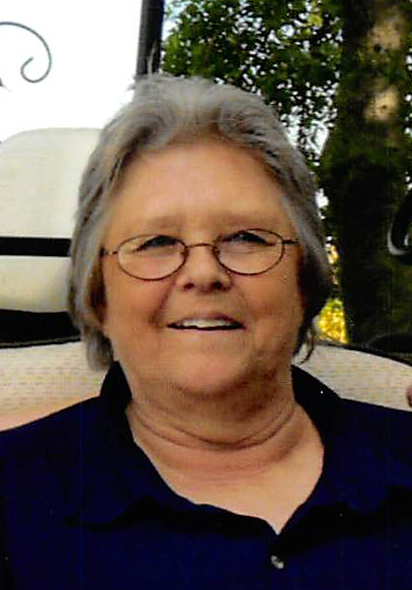 Nancy L. Stodola of Hayward passed away peacefully on Friday, November 23, 2018 surrounded by family and friends. Nancy was born on October 2, 1948 to Larry and Evelyn (Smothers) Stodola. She was born, raised, and attended school in Rice Lake, WI. As a young woman, she made her way into the hearts of the Jorgenson family in Austin, MN and made wonderful memories with them and for them. Later in life, she made her home in Hayward, MN and had the opportunity to travel and made many trips to Disney World in Florida, as well as cruises to the Western Caribbean and to Alaska with her friends, Deb, Bonnie, and Barbie. Living on the acreage with her pets gave her great peace, tranquility and beauty for the earth. She was known for her quick wit and street smarts - so to get one up on her was always hard! She was very much a people person who loved to tell of adventures and stories of her life. She enjoyed singing and playing guitar, along with fishing, camping, and cards. Nancy was baptized a Jehovah Witness on August 13, 2011 and devoted her life to spreading the good news of the Bible to everyone she met. Her love for Jehovah and the promise of everlasting life in a perfect paradise made her smile on what her future would be. She is survived by her extended family and friends. Nancy was preceded in death by her mother and father. Sister in-law, Carol and niece Jeanie Ann. Private family services will be held. She will be cremated and placed with her beloveds.